You won't get to taste a wide variety of delicious food coming out of small and tiny kitchens very often. There are some good examples of such small eateries that make a big impact, and Rolls & Bowls is one such gem that I recently got to sample. The concept is simple, Kolkata-style rolls & Chinese-style rice and noodle bowls, pretty straightforward, right? It was almost like a meal on the run; I ordered their signature Chicken Mughlai Paratha, a roll, and a couple of starters to share. The service was very quick and almost everything we ordered was served within a 5-minute gap. The Chicken Mughlai lived up to the tag of being their signature dish. 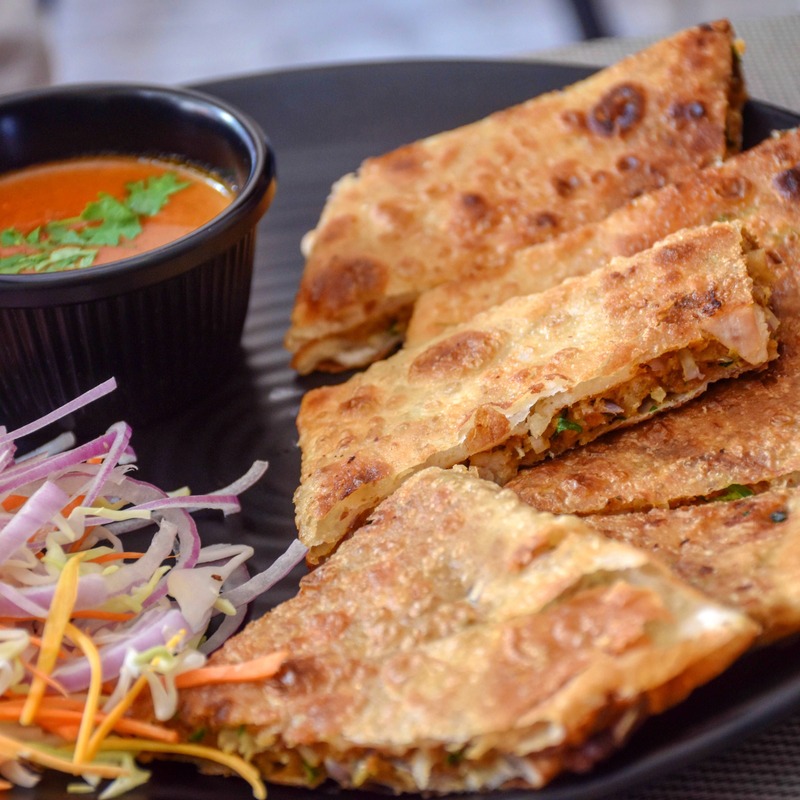 The delicious flaky paratha stuffed with minced egg and chicken chunks had well-balanced mild Mughlai spices, and the best part was the makhani sauce served alongside. It was a combo made in heaven, and it's India's answer to the Malaysian Murtabak. The chicken manchow soup had well-balanced Chinese flavours with chunky chicken pieces. The Chicken & Egg kathi roll was delicious. It was a perfect mix of chicken chunks beautifully rolled on an egg layered paratha with some julienned onions and a tinge of a sour element (maybe lime). Their flavoursome and succulent Paneer Tikka could give a tough competition to some of the fine dining restaurants. I was amazed at how such a small kitchen can roll out such flavourful Indian dishes. I had the same experience with the chicken tikka as well. The chicken was well-marinated with strong tandoori flavours and tasted yummy. The crispy mushroom was loaded with Chinese goodness, mildly sweet, spicy, sour, and had the right balance of strong Chinese flavours. The crispy chicken stood out for me. The wonderful slivers of chicken were well-cooked in Chinese sauces, they were crispy, dry, and saucy all at the same time; it was a top-notch dish. The only downside was that the salt was a little over for my taste. I had to rush, and I did not get to try their rice and noodles, but hey, this place is a stone’s throw from where I stay, and I will visit them soon again. Overall, Rolls & Bowls is my new favourite spot for all Chinese and Tandoori cravings.